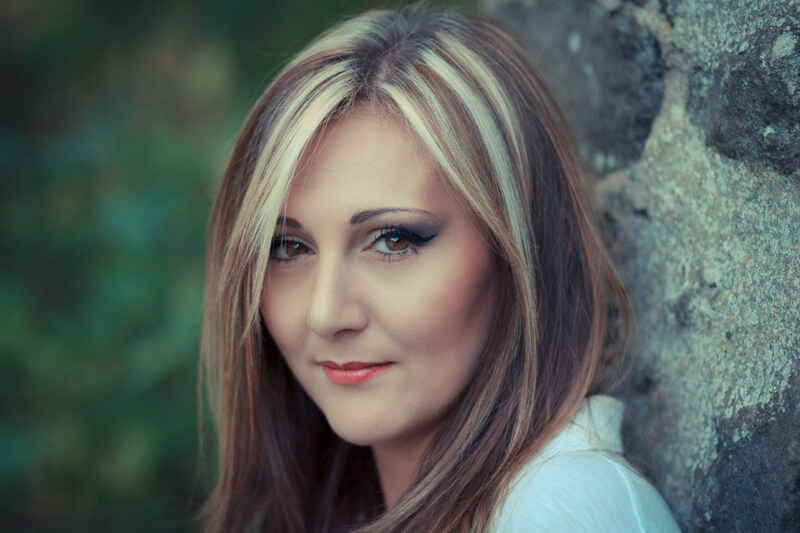 Dark roots in blonde hair can be a problem when you have a hair color that is substantially lighter than your natural hair color. As your hair grows out, your natural color starts to appear and can cause your hair to look unsightly as it becomes longer. In order to keep your blonde hair looking great, dark roots need to be touched up every few weeks. How often should roots be dyed? As a simple rule of thumb, roots can be touched up at any time as long as they are noticeable. However, the shorter they are, the more difficult it is to avoid overlap. Longer roots on the other hand, won't lighten as effectively because the warmth of the scalp works in your favor the shorter your regrowth is. All of this means that for the easiest application, least damage, and best lightening, it is best to touch up your roots when they are about half an inch long. Anything shorter than this is hard to work with, and anything longer is more resistant to lightening. The dye process for dark roots in blonde hair is exactly the same as it is for the rest of your hair, with the exception that you'll only be dyeing your roots. 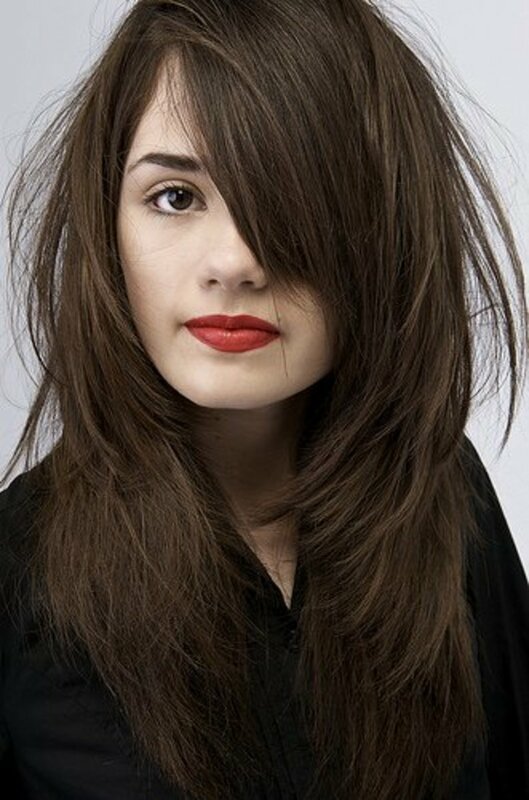 Application technique is paramount here as you need to be able to apply dye to the roots without overlapping on previously dyed hair or else you risk damaging hair that has already been lightened. Dark roots in blonde hair need to be lightened first before they can be toned to match the rest of your hair. 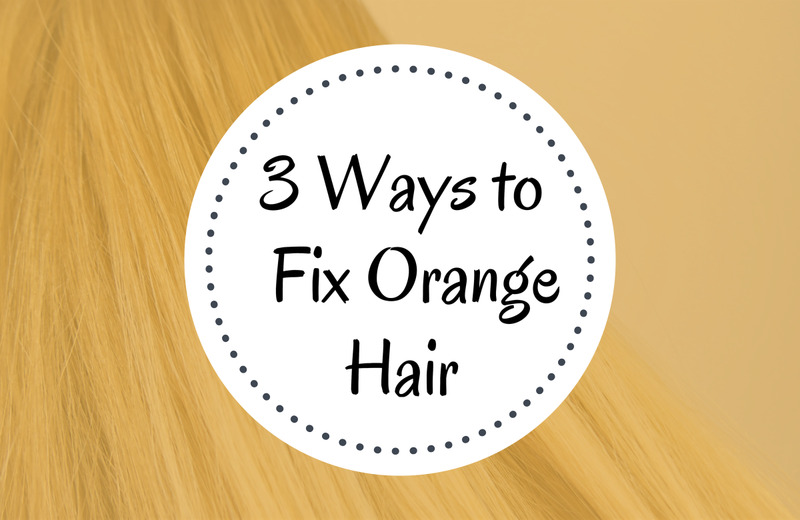 This requires the use of hair bleach to pre-lighten your hair. Unlike previously dyed hair, which is notoriously resistant to lightening, your roots are virgin hair and this gives you and advantage when you lighten them. Not only will they lighten easier, but they will also generally lighten in one process, making it only necessary to bleach them once. To ensure that your hair lightens effectively, it is important to choose a hair bleach that is strong enough to lighten in one process. Better bleach powders will even leave your hair healthier and less damaged after use than a generic product will, making them a good idea for more than one reason. Hair bleach powders like Wella Multi Blonde or Schwarzkopf Igora Vario will usually guarantee excellent results. Unlike generic bleach though, these quality salon bleach products need to be used with a lower volume of developer on scalp as they are strong products. However, mixed with a lower developer, they will still lighten much more effectively than generic bleach. To apply bleach for a retouch application and lighten dark roots, your hair needs to be sectioned out just like it would be for any other hair color. In fact, doing this will directly influence your results. Without proper sectioning, there is no method to your application and it will proceed haphazardly, causing you to miss spots and overlap previously colored hair. Your hair needs to be sectioned out into four discrete sections before you begin applying bleach. This is achieved by parting the hair down the middle and then once more from ear to ear, forming four distinct quadrants that can be clipped up. These quadrants will keep each section of hair separate and out of the way. You will also notice when applying bleach in this way that the hair in any section can be covered in one direction. Taking thin layers of hair from the top, you only have to continue in this fashion until the section is completely coated. After you have completed one quadrant, it is time to move onto the next. When you apply the bleach, this needs to be to the roots of your hair only. Some amount of overlap can occur, but the closer you can get to a perfect application, the better the final result and the better the condition of your hair will be after many root applications if you intend to keep your blonde hair color for a long time. To make this easy, apply by brush only, using a slightly thicker formulation of bleach. This is formulated by using slightly more powder to developer. A thicker product is less likely to swell or seep into other areas during application. Once you have finished the application, allow your roots to lighten up to slightly lighter than the rest of your hair. Rinse the bleach out, shampoo, and then move onto the toning stage, which will take your yellow roots from yellow to a beautiful blonde. The toning process actually serves two functions when you're touching up dark roots in blonde hair. Most importantly, it neutralizes the golden or yellow color of the lightened roots. It also serves to refresh the color of the rest of your hair and even it out to match precisely. To tone your roots, you need to use a cool-toned dye like an ash or a pearl shade that is one shade lighter than your current blonde color. If you've lightened your roots to a level 8 light blonde for example, you should be using a level 9 ash blonde dye to tone them. Using a slightly lighter shade gives more controlled toning and the color of your hair will change over a longer period of time. 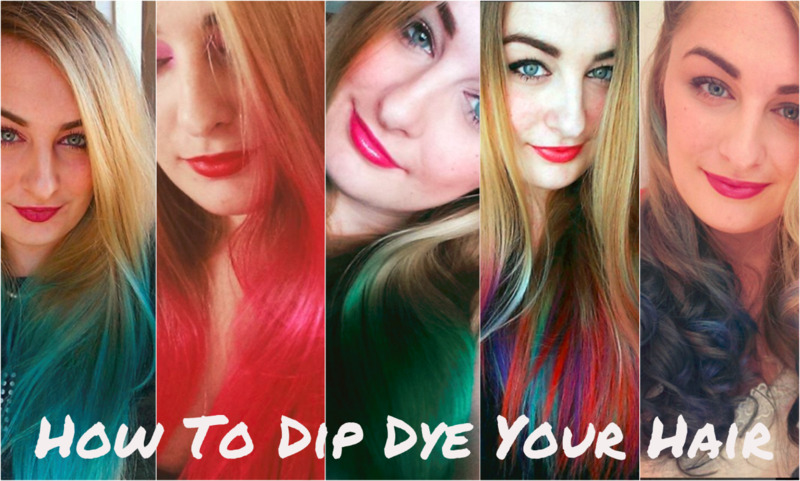 This is important because if the dye is too strong, you will end up with an uneven result or over-toned hair. 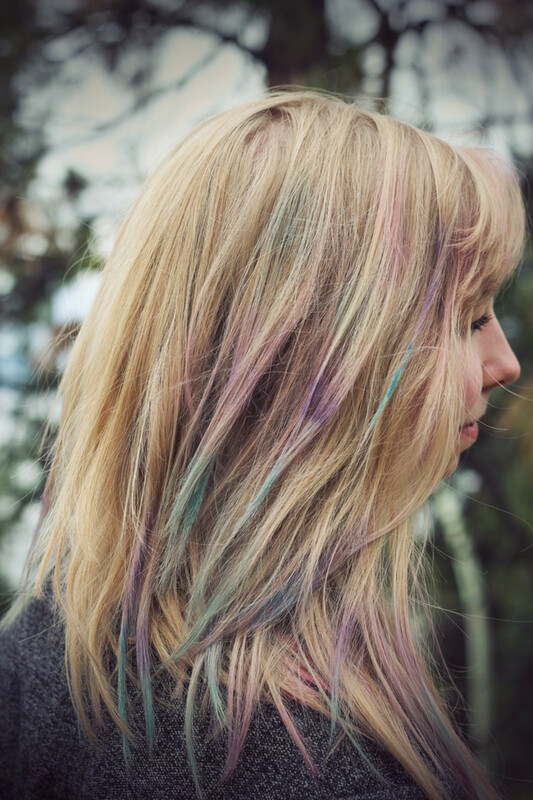 Once you've chosen your dye, apply this with the same application technique you used during lightening. The toner needs to be applied to your roots first and allowed to develop. Once the color of your roots is close to your desired shade, take the leftover dye and apply it to your lengths for the last few minutes of application. Applying the leftover dye to your lengths during a root application helps to produce a more even color result whilst refreshing the overall color. When your hair is nicely toned, rinse all the dye out. After touching up dark roots in blonde hair, your hair is going to be slightly dry because of the bleach and dye used. This is normal and isn't an indication of damage. Like with all chemical processes however, touching up your roots can lead to damage. As your roots are new hair, this damage is greatly minimized. The more you were able to avoid overlap during application of the bleach, the less of a chance there is of any further damage to the lengths of your hair. If damage has occurred though, this can be treated with the use of protein treatments like Redken Extreme Cat. Protein treatments like these are applied after shampooing your hair and left for a period of time to absorb. They are then rinsed from the hair, conditioner is applied, and you can dye and style your hair as normal. The use of conditioner is the most important thing after any dye process, and when you bleach hair, you should use a conditioning treatment or rinse directly afterwards to add moisture back into your hair and balance the pH. Doing so will lead to smoother, healthier hair that feels great afterwards. Once you have done all of this, leave your hair to rest for a few days before you wash it again or use any other form of chemical process. Hair that is properly colored and cared for is beautiful. If you treat it well, you can keep it looking great for as long as you care to keep your color. Hello. I have question. If girl have blond hair, but they colored maybe caramel color. Or bit lighter. And roots are grow up already, and she wanna color on the top highlights... Is she will get same effect from roots till end of hair? I have long blonde hair with long dark roots. I am getting my hair done in a couple days and I am wanting to bleach my roots and this article sounds exactly what I'm trying to do. When I talked the lady doing my hair (someone new because I moved), she said it will be very hard and it will probably burn my scalp and it is generally not recommended but we can try. What do I say to that? Should I be worried? Should I find another person to do my blonde? I have ginger hair naturally and find it ridiculously hard to find a good bleach to get the ginger out and my hair blonde...which bleach would lighten my hair the best in your opinion? if you highlight close to root will you get a tiger look? I am looking to bleach highlight my roots and some parts of my existing colour that was meant to be the same colour as my top colour but is a complete different colour. 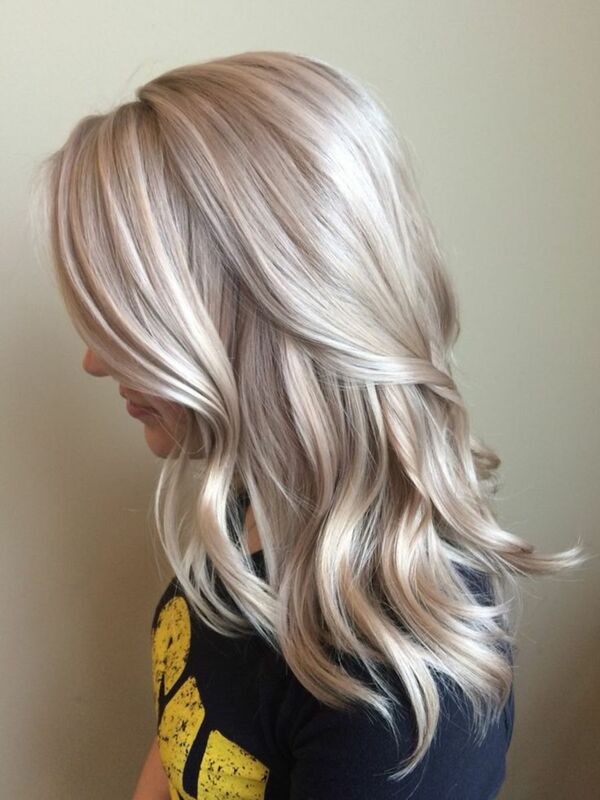 I have never done this before and I know my hairdresser uses 9.1 very light ash blonde but I have no idea what products to use ie bleach, devloper and toner ? Also I need to learn to highlight aswell. I digress, I decided to wait on the Feria pastel silver & have it white for awhile. Turns out I love, love, love the white!! So I bleached, like I have many, many times before, and it went as expected. Over the next month I conditioned, conditioned & conditioned in between a few bleach baths & then one final strong bleach bath. I guess I didn't get the bleach all washed out, even though I rinsed for 20 mins, didn't feel any or see any, plus I used a bit of co-wash & rinsed that we'll too! As it started to dry, I noticed a patch that felt STRANGE! I went back & rinsed the living hell out of it. The damage was done, when it's wet it has that weird, overcooked, wet pasta feeling & is breaking on occasion. My hair is about 2 inches below my bra strap, the damage? Oh ya know, that's up about 2 inches from the scalp, to the left of my crown. Now I have 1/2 inch roots & don't know wtf to do! I'm devastated because I ADORE my white hair, I want to keep it forever!! Lol I was in severe depression, I could not have cared less about my appearance or anything at all for the last 3 years; this hair changed everything! I feel amazing with it & am so sad thinking there's nothing I can do to upkeep it aside from using my homemade purple toning shampoo. (If anyone reading wonders, I just get Manic Panic Ultraviolet & mix a bit in with my fave shampoo, I even used some in my co-wash.
*Big Sigh* I have never, ever damaged hair before. Sorry this is so long! I truly need some insight! Thank you, you're a doll! Hello I have a client with level 5 roots and highlighted ends I want to use high lift color on roots and tone the whole hair after. She wants a more solid look have u ever done this ? What products should I buy as in dye developer and toner. Show pictures of the easiest way to see the back of your hair when doing it yourself. I would like to know how much bleach I would need to redo my roots? When I bleached all my hair I needed three packs! good morning, i have been bleaching a level 4 or darker to 9s and 10s (after thousands of dollars spents and years later.. my hair is fried and curls are gone and im tired of the root touch ups and all together tha maintenance of being blonde. sooooo i decided to take on the project of putting a frosty brown color on the blonde.. and break it off with adding some caramels in between hear and there and at the tips. BUT i need to determine what the formulas are for a one step process.. i learned about adding yellow, red, and the brown i want after a protein filler treatment.. because you cant just smack on the brown dye.. but i wanted to get advise before i just go out and start mixiing up reds and golden blondes and warm browns.. can wella products allow me to mix up a formula to get me completed in one day. Hi! I'm touching up my roots tonight to get them close to the same color as my salon bleached hair. I couldn't afford going to the salon and my local drugstore didn't have any bleach so instead I'm using the garnier nutrisse nourishing color creme in extra light ash blonde as it seemingly will look close to the same color as my toned bleached hair. Do you know if this will be okay? Hi. I love your blog, it's awesome that you share your knowledge with the world. Now I've got a question. I bleached my medium/dark, red/brown, many times dyed hair to yellow and been using a 7a demi color, and bleaching my roots. My roots grow in at probably a 4 or 5 and my hair tends to go super brassy when I color. I'd like to stop bleaching my roots, but I am not ready to go darker yet. Is it possible for me to do my roots with high lift dye and ash intensifier instead? Or would it be better to just stick with bleach till I'm tired of being blondish? It could be a reaction to the Olaplex. Of course, this is just speculative because I don't use the product so I don't have any experience of whether it can cause allergies or hair loss. Usually with bleaching or dyeing you won't see hair fall out from the follicle though; it snaps further up the hair shaft where the hair has been most heavily processed. I'd suspect a potential allergy or the higher developer volume is to blame if there was a lot of scalp irritation. For now, unless you're in the middle of achieving a new colour and need to finish it, the best idea would be to give your hair a rest and watch it for a while to see if you experience any further hair loss over the next two weeks or so. Particularly, pay attention to how much hair ends up coming out whenever you wash it. It's perfectly normal to lose hair during washing because it molts, but if the amount you're losing seems more excessive and this continues, this is where you should consult a dermatologist to have a look at your scalp to be on the safe side as well as work out what is happening. 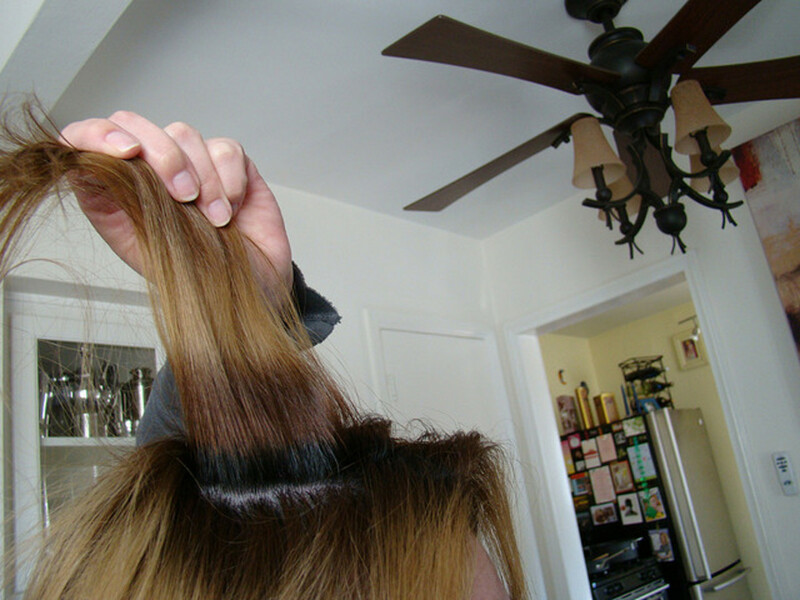 Once you've given your hair a rest, if everything is fine, you can try bleaching it again when your dark roots come in. If you experience the same thing happening, try dropping the Olaplex from the mix and see if that makes a difference. Lastly, if you're using any kind of beauty product and are experiencing a rash, getting a lot of itchiness, or feel like it's hard to breathe, these kind be fairly clear indications of an allergy and you should rinse out whatever you're using. You can also be allergic to something without experiencing these specific symptoms and this is where something strange like hair loss might occur and may be the only thing you have to go off for diagnosis. The best idea is to be careful with any new product you use and do whatever patch test the product recommends before applying it fully. I have a question about bleaching dark roots. I bought a sample size of olaplex for my recent touch up and it seemed to work wonders at first! Usually my hair starts to shed when Im washing the bleach out and now there were no hair on the shower sewer at all! Until... I did the second phase of olaplex and when washing that out I could see alot of hair in the sewer.. What was surprisin was that the hair that fell out was not broken, but it had gone off from the root! I did use 30 vol developer as with olaplex you need to up the level, and it did burn my scalp but just a little bit..
Can I still bleach the roots? What if soon I dont have any hair to bleach... I know hair can break when bleaching but never heard that you can lose the whole hair!